Christoph Clemens has been a dog trainer since 2004 and became involved with trailing in 2010. A former police and security agent, Christoph founded his dog school “Couchwolf” in 2009. In 2016 he was able to leave his position as a security agent to work full-time as a self-employed dog walker and trainer. Couchwolf focuses on basic obedience, mantrailing, and dog walking for private citizens. 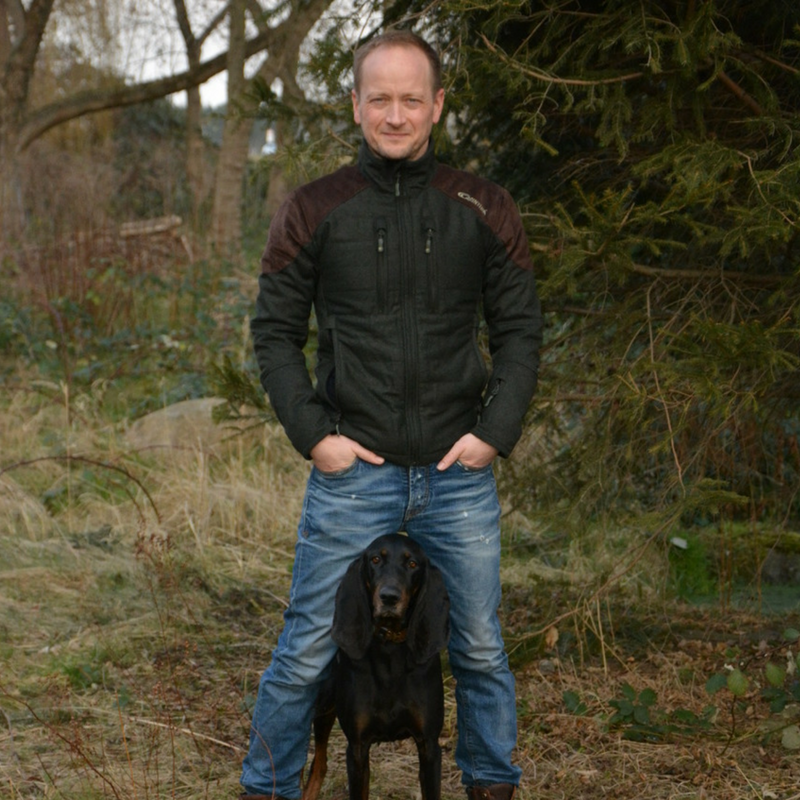 Christoph currently lives in Markkleeberg/Leipzig, Germany and trails with his 4 year old B&T Coonhound Fae.